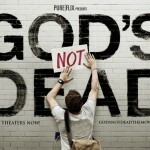 God’s not dead is an outstanding movie! The premise of the movie is a young Christian man “Josh” (played by Shane Harper) is beginning his college career. One of the first classes he takes is a freshman philosophy course taught by an atheist and bitterly angry Professor Radisson (played by Kevin Sorbo). Wherein his first required assignment for the class is to write down on a blank piece of paper a simple three-word “fact” … God is dead … something that, as a Christian, Josh cannot bring himself to do. As the story goes on, Josh has to defend his faith in God and essentially prove to the entire philosophy class that God is in fact, alive. 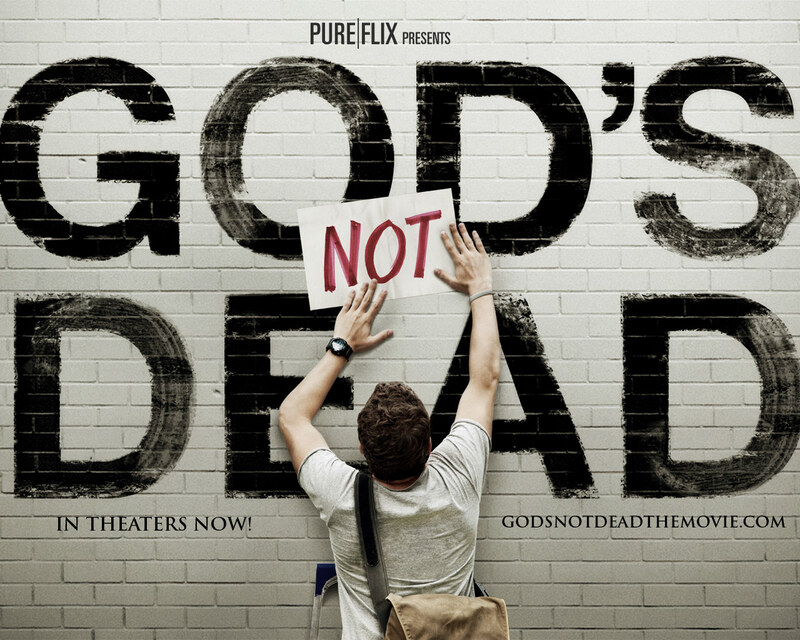 Josh uses philosophers, science and the Bible to make his case that God is not dead. Professor Radisson stands firm in his incredulity, claiming not to believe but eventually he reveals the true reason why he hates God. Josh’s arguments for God are thought provoking, scripture based and vastly profound. There are additional story lines in the film other than the conflict of an atheist teacher and his Christian student. As several other stories are occurring throughout the film, showing the viewer a variety of people at different places in their faith and the different challenges they face. We also meet a young woman of Middle Eastern heritage who is a secret Christian because she fears how her religious family will react. A self-centered businessman who receives a message from God through his near catatonic mother with dementia. The girlfriend of Professor Radisson who herself is a Christian and treated with ridicule for her faith, a foreign exchange student who does not know what to think at all about God and a Pastor who is still learning what God has in store for him. All these stories work well to show us ways God works in the lives of believers and non-believers alike and demonstrate how He is involved in every aspect of our lives. Bottom Line: The movie is a must see, especially for anyone who feels discouraged because of being rejected time and again while trying to share hope and faith! “Whoever acknowledges me before others, I will also acknowledge before my Father in heaven. But whoever disowns me before others, I will disown before my Father in heaven.” Matthew 10:32-33. If you missed it in theaters go ahead and buy the DVD to add to your collection, it is well worth it!